Brief: When one of PRG’s longest standing clients David Bailey Furniture Systems wanted to utilise digital marketing to promote their extensive furniture range, Facebook advertising seemed a fitting solution. The company wanted to promote its ranges which include furniture for hospitals and health centres, as well as educational and office environments. Creating targeted paid CPC campaigns on social media would allow for the business to drive traffic to their website, generating interest and enquiries about the ranges. Solution: PRG’s digital marketing experts set about creating targeted advertising campaigns for each furniture type, defining the audience by sector and job title. We began with Facebook, as this proved a cost effective option for the business to trial. Facebook advert creatives were split tested, to see which images the brand’s audiences respond best to in order to make the most out of the advertising budget. The adverts are tracked alongside website traffic, so that the team at David Bailey could find out what actions users were taking when they saw their adverts. The flexible budgeting options on Facebook have allowed the business to trial different adverts to ascertain what gets the best results. The Facebook ad campaigns include promotions for hospital and healthcare furniture, office furniture and lockers, and educational furniture – perfect for the country’s schools. The PRG team have tested a variety of ad types, including the popular carousel advert to promote engagement from the selected audience. Result: As a result of the Facebook campaign’s success, David Bailey Furniture Systems now advertises on popular business networking site, LinkedIn too. 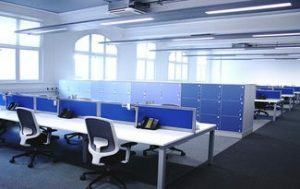 The company’s LinkedIn campaign is focussed on their popular office furniture range, perfect for Office Managers, Company Directors, Architects and Facilities Managers around the UK. With LinkedIn’s wealth of job and industry information available for advert targeting, PRG’s marketers were able to ensure the adverts reached those most likely to buy from the business. The online advertising campaigns have allowed the business to track advert success and reach their target audience with a more modest budget than usually used for traditional forms of advertising such as print. The advert creatives and audience options are continually monitored to ascertain where budget is best spent, and to see which advert set David Bailey leads are best responding to. Would you like to find out more about how social media advertising could help to generate brand awareness and drive traffic to your website? Contact our team of digital marketing experts to find out more!